PADI 5 Star Dive Centers meet criteria that reflect continuing dedication and commitment to supporting PADI's Three E's of diving Education, Equipment and Experience. The IDC rating shows a strong commitment to developing dive professionals by providing educational programs from entry level through instructor training. School’s in session at Red Sail Sports featuring PADI and Handicapped Scuba Association beginner and advanced certifications. 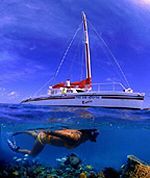 Scuba courses include equipment, materials and boat dives as appropriate. 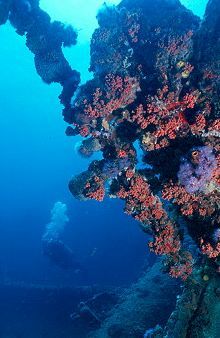 US$295.- PADI/SSI/HSA/IDEA/NASDS Open Water Referrals, Includes all equipment.